Can Laurina Play Spoiler in the 2019 Champion Hurdle? Willie Mullins seems quite adamant that Laurina, his unbeaten 6-year-old mare, will tackle the Champion Hurdle at Cheltenham, despite going up against two of the best in the business – Apple’s Jade and Buveur D’Air. Mullins said this week: “At this stage it looks as if she will run in the Champion Hurdle, rather than in the Grade 1 mares' race at Cheltenham." Some pundits have been a little bit sceptical about Laurina’s chances, citing a lack of experience and the task of overcoming a pair of competitors with an abundance of Grade 1 victories, yet we know that Mullins has seen enough to give him belief. Bookies seem to be in agreement, with the current odds from 888sport putting Laurina at 7/2 for the Champion Hurdle. That’s quite the vote of confidence given who the mare will come up against. 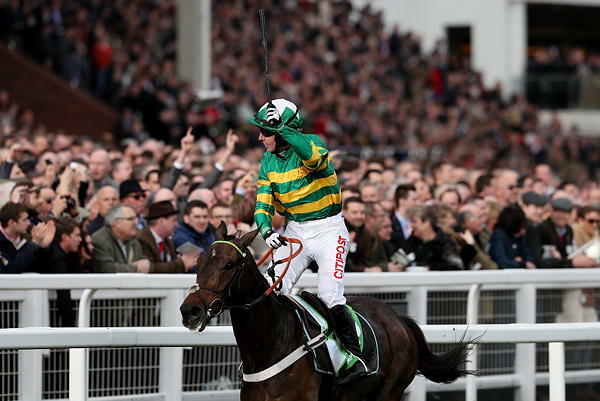 Buveur D’Air have been given joint-favourite status by most bookies, with 888sport going 7/4 on the pair. But it’s also easy to overlook some of the other talent in the race, such as Sharjah (9/1) and Verdana Blue (10/1). The latter is the only horse to have beaten Buveur D’Air since the 2016 Cheltenham Festival (Altior, Supreme Novices’ Hurdle). So, what has been demonstrated to warrant the bookies and her trainer to have such confidence in Laurina? Well, there is the fact that the mare has not looked remotely close to being beaten in her five races to date. In fact, she has won her races by an average of 20 lengths, including a 48-length victory in her latest outing. Although, to be fair, the field at Sandown was reduced to just Laurina and Sensulano. Regardless, Laurina hasn’t missed a beat and it’s very difficult to pick holes in any performance. The reluctance of some pundits to back Laurina seems to be borne out of the lack of true quality among Laurina’s opponents. Her 18-length victory in the Mares’ Novice Hurdle at Cheltenham last year came against a couple of decent types, including Cap Soleil and Maria’s Benefit. However, let’s be clear: Apple’s Jade and Buveur D’Air are in a different league entirely. Indeed, it might seem like a natural progression for Laurina to tackle the Grade 1 Mares’ Hurdle this year, then move on to the Champion Hurdle next year as a 7-year-old with another 12 months of big race experience under her belt. However, one could argue that Mullins is being smart here because he already has a big, big chance in the Mares’ Hurdle with Benie Des Dieux. Last year’s winner is given odds of 5/2 by 888sport for a second successive victory, behind Apple’s Jade and Laurina at 4/7 and evens respectively. However, this might be the perfect time to snap up those odds for Benie Des Dieux in some ante-post Cheltenham betting, because it seems almost guaranteed the latter pair won’t go in the Mares’ Hurdle. Going back to Laurina: it feels like Mullins should be given the benefit of any doubt. Connections would not be pushing for the Champion Hurdle if they did not believe there was a decent chance of winning, otherwise they would aim for the Mares’ Hurdle or perhaps a novice chase. 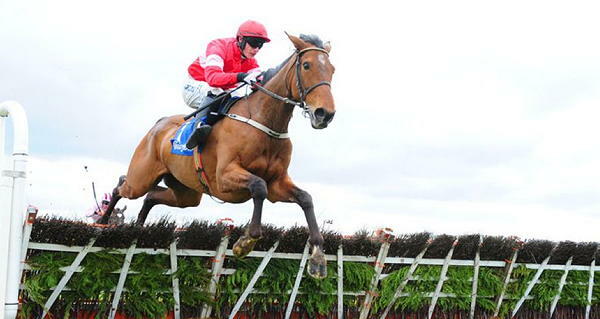 Can the lightly-raced 6-year-old take on the two best hurdlers on the planet at Cheltenham? It remains to be seen, but it is going to be fascinating to find out.